Heirloom tomato season is winding down. 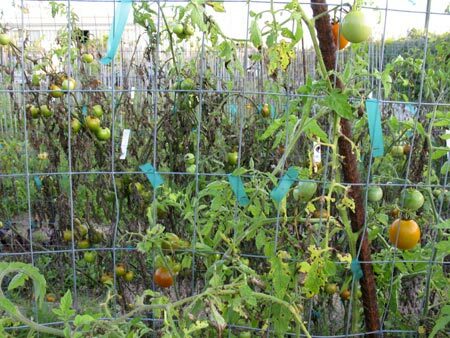 This season it looked uncertain if there would be a good crop of heirloom tomatoes because of the freeze in December. Some plants were killed by cold (and replanted) but about half survived. Happily, there’s been a bumper crop and the barn was loaded for the past few weeks. Double decker heirloom tomatoes ripening in the barn. Tomatoes are picked as they start to turn color and ripen. If they stayed on the vine until they were completely ripe, there’s a good chance that birds and bugs would get to them before you would. 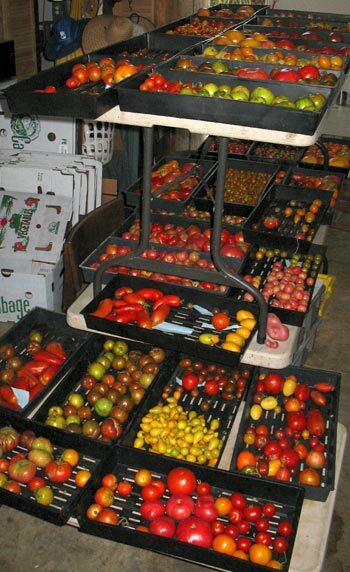 The tomatoes are grouped by variety and stored in flats, which are stacked all over the barn to allow them to continue ripening. But now the torrent is tapering to a trickle, and that means trouble for tomato-heads. Tomato season is slowly coming to an end. Vines are shaggy and some are flopping to the ground. They are definitely showing stress from heat and bugs. I like zigzag streaks of gold along the sides of speckled romans. It looks like the planet Jupiter, doesn’t it? No two are alike. You’ll never see these in the grocery store! 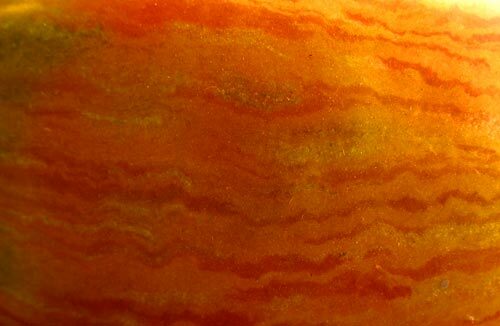 Close up view of a speckled roman heirloom tomato.